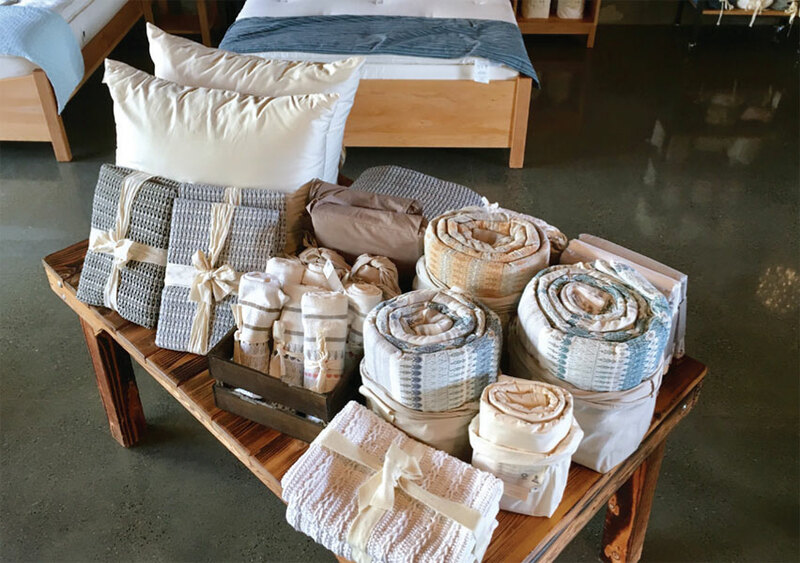 Holy Lamb Organics has been making natural bedding products locally by hand in the small town of Oakville, Washington, for 18 years. For the first time, though, the South Sound community can access a “touch and feel” experience in Olympia. 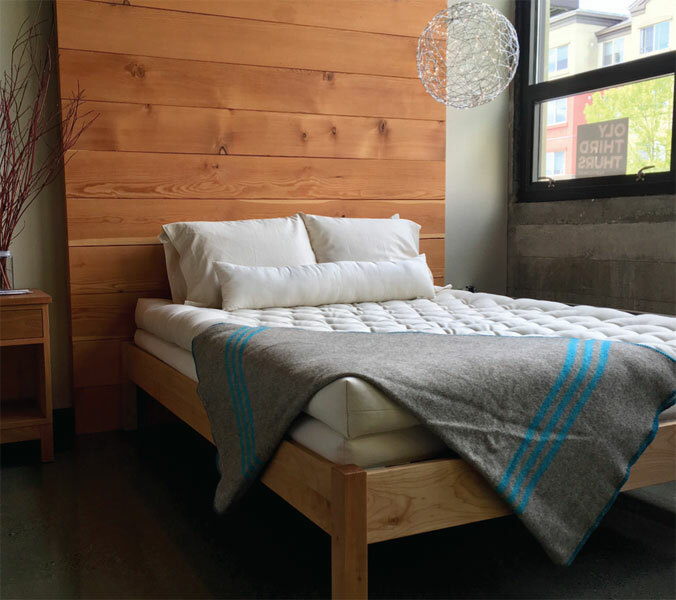 The company’s recently opened retail showroom is the only all-natural bedding store between Seattle and Portland, according to owners Jason and Mindy Schaefer. The showroom is “new” for the company and the community, but “old” for a building. It occupies the lower floor of the historic Olympia Steam Plant. “We’re excited to be part of the downtown Olympia neighborhood, and the Steam Plant building is a great fit for our business,” says Mindy Schaefer. Holy Lamb Organics’ manufacturing plant is located in what was once Oakville’s historic Little Bit General Store, which served the community in eastern Grays Harbor County for over 85 years. Built in 1902, the building also includes a showroom that is open to the public. According to the Schaefers, Holy Lamb Organics bedding is handmade using the highestquality materials and forward-thinking design and innovation. Made in the USA, the products are natural and certified organic. The Schaefers add that replacing the bedding of an allergy sufferer with natural products can reduce or eliminate the effects of the allergies. The Schaefers hope for their showroom to become a hub for the community and aim to do their part to support community events. They invite you to the new showroom to touch, feel and experience the difference in all-natural bedding.